You can search for Project MUSE eBooks in the PSU Library catalog, or you can search for books directly from Project MUSE. Project MUSE will search everything by default, including items that PSU Library does not own. Fortunately, it is simple to refine your search to find only eBooks. First, sign in to Project MUSE on a campus computer, or off-campus with your Odin account. Next, click the “Browse” button at the top of the page. 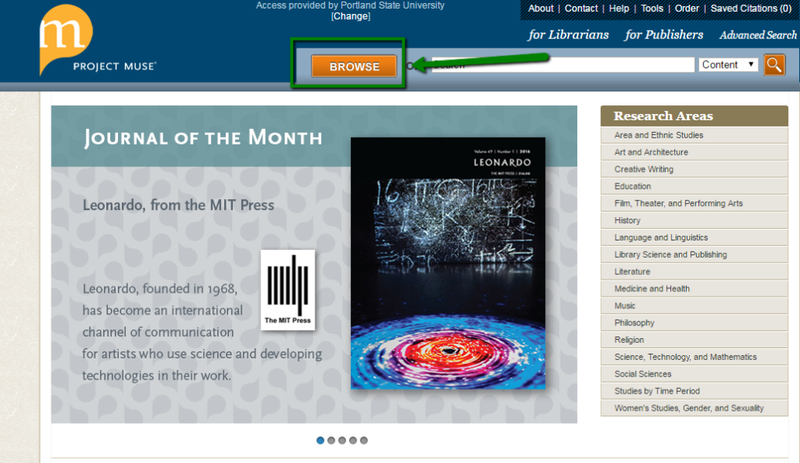 After these three steps, you now can search the Project MUSE eBooks owned by the PSU Library. These ebooks can be downloaded to a computer or tablet for an unlimited time, and PSU faculty and students can print out as much as they need. The PSU Library access to over a million eBooks from several publishers and vendors in addition to Project MUSE. Search for eBooks at the PSU Library. Simply search for a keyword, and then refine your search results to eBooks. You may find entire chapters, or entire eBooks, online at the PSU Library. 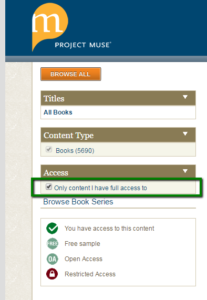 If another library has an eBook you want to view, you may be able to access it using a public computer at that library, or borrow the print edition. If you have any questions about accessing an eBook at the PSU Library, please Ask a Librarian. Please note that many eBook collections are licensed for use by on-site patrons and current Portland State University students, faculty, and staff. Internet Archive provides a free digital library of Internet sites and other cultural artifacts in digital form. Closed captions are not available. 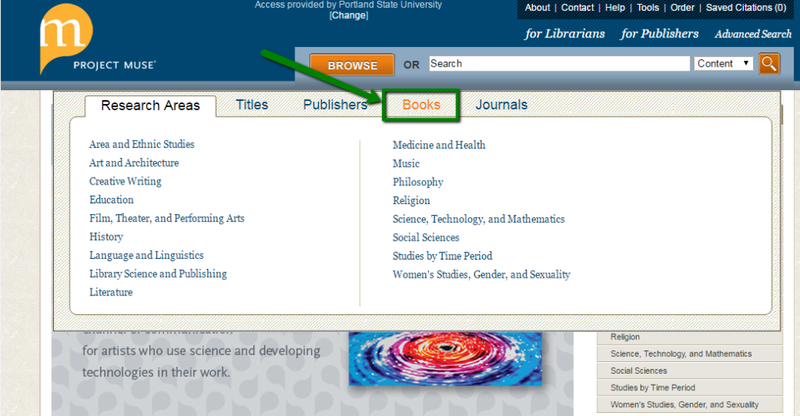 Directory of Open Access Books includes academic ebooks that are part of Open Access.